Our very own, in house creation! 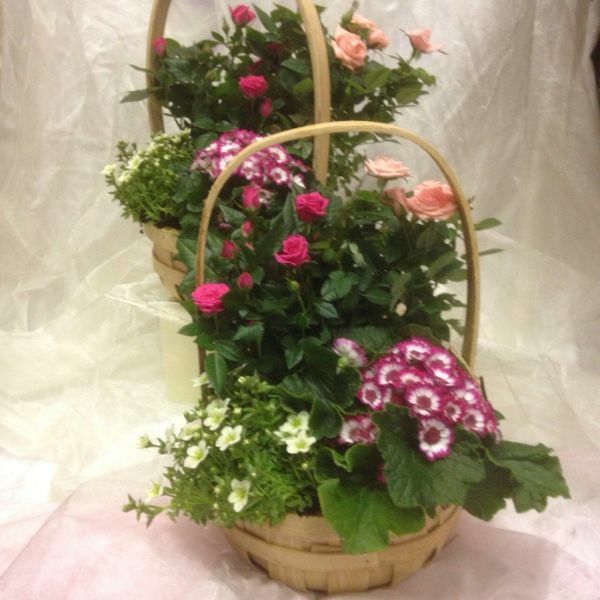 These lovely colourful baskets are lined and filled with lots of pretty seasonal plants, including a duo of luxurious rose plants. Perfect for garden enthusiasts or for those that would appreciate a little indoor garden, that should they wish, can plant outside later.